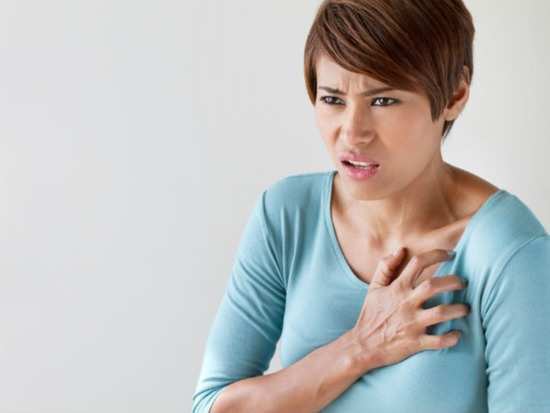 Researchers from Brigham and Women's Hospital in Boston, Massachusetts, also found that the risk of hemorrhagic stroke was high for women with very low levels of triglycerides, a type of fat found in the blood. Hemorrhagic strokes are caused when a weak vessel in the brain ruptures and bleeds into the organ. According to the American Stroke Association, this type of stroke makes up close to 13 per cent of stroke cases. 1. LDL: This is known as 'bad' cholesterol because it can build-up in the arteries and cause serious and damaging health issues. 2. HDL: This is known as 'good' cholesterol as it works to carry cholesterol to various parts of the body and back to the liver. This process helps to get rid of cholesterol from the body. For the study, researchers examined the data of close to 28,000 women who were all over the age of 45. The women were all enrolled in the Women's Health Study. The team measured the women's HDL cholesterol, LDL cholesterol and triglycerides. After almost 20 years, follow-up results revealed close to 140 women from the group had suffered a bleeding stroke. Previous research stated when the cholesterol and fat levels are low it can reduce the risk of strokes and heart attacks. However, researchers have found evidence that extremely low levels can impact women's health. "Strategies to lower cholesterol and triglyceride levels, like modifying diet or taking statins, are widely used to prevent cardiovascular disease," study author Pamela Rist, ScD, of Brigham and Women's Hospital in Boston and a member of the American Academy of Neurology, told a news portal. "But our large study shows that in women, very low levels may also carry some risks. Women already have a higher risk of stroke than men, in part because they live longer, so clearly defining ways to reduce their risk is important," she further went on to explain. Researchers hope the findings urge doctors to carefully monitor their female patients to reduce their risk of experiencing the condition. "Women with very low LDL cholesterol or low triglycerides should be monitored by their doctors for other stroke risk factors that can be modified, like high blood pressure and smoking, in order to reduce their risk of hemorrhagic stroke," Rist told a news portal. Adding, "Also, additional research is needed to determine how to lower the risk of hemorrhagic stroke in women with very low LDL and low triglycerides." The findings were originally published in the journal Neurology.